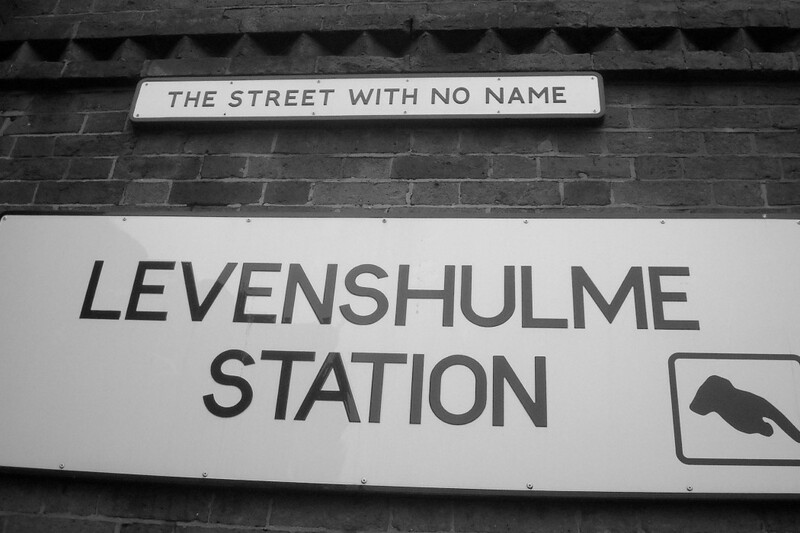 The Levy Walking Tour starts at 11am this Saturday 11th July 2015 at Levenshulme Market, on the train station car park, and is led by tour guide and historian Peter O’Grady. It will cost £3 per adult (free for children, price includes a discount on drinks at POD and a free hot drink at the Antiques Village Café). The tour will take approximately 1 hour, 15 minutes. If you’d like to attend, you can simply turn up at the market at 11am at the signposted meeting point, but please register your interest on the Facebook page we’ve set up for the event. If lots of people want to come, we may repeat the tour at 1.30pm. 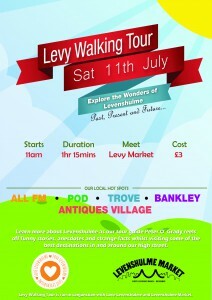 We’ve teamed up with Love Levenshulme to host the Levy Walking Tour, an exciting new event exploring the history. culture and architecture of our lovely area. Setting off from the food and drink market at 11am (get there early for a cuppa and a bite to eat before the tour), the tour will head past POD Deli, All FM, Bankley Art Studios & Gallery, the Antiques Village, the old and new library and swimming bath sites and Trove Bakery. Local historian Peter O’Grady has bags full of funny and fascinating anecdotes and facts to share, on everything from the childhood home of world famous architect Norman Foster, and the early days of Manchester Art Supplies institution Fred Aldous, as well as the history of the famous ‘Street With No Name’ and the whereabouts of one of the country’s first ‘play streets’. The group will also be stopping off at Bankley Art Studios & Gallery, which is hosting exhibitions in its gallery and informal open studios as part of Manifest Festival. The Levenshulme Contemporary Art Centre (LCAC), which received funding from the Levenshulme Market Fund 2015, also has an exhibition of paintings of Levenshulme by local artist Chris Hamer on at Bankley.